AnonD-1846, 07 Mar 2014Moto G specs beat the Nokia XL one. For example: 1. HD screen 2. Better CPU 3. 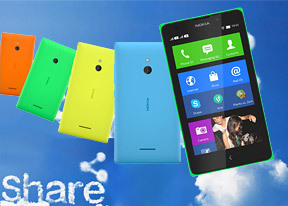 Play st... moreNokia had done a good thing after along time as I thought Nokia XL is a good phone because it has a mixed features of symbian, windows as well as android.so it is a good phone as compared to Moto G because they had given every thing new but they are using old chip sets. lordmaster, 07 Mar 2014You can play even 1080p (HD) through this phone,.. so don't worry about that... the phn is gd ... moreR u 100% sure this device support 1080p video....??? u, 07 Mar 2014Can i watch you tube videos in this phone? Please reply.Yes this phone support youtube. Faisal, 07 Mar 2014does it support google play store? can i make local video calls?I think yes with ather browser xl support google play store. Can i watch you tube videos in this phone? Please reply. does it support google play store? can i make local video calls? Starting from Nokia N8 itself nokia copied google android and incorporated drop down menus and conversation view in messages. 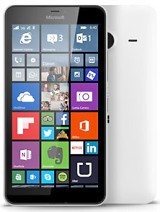 Then the icons look and display are copied from Windows phone. Now nokia is releasing android phone !!!. What a joke !!!. Suraj, 07 Mar 2014But moto g price rs 13000 in india. 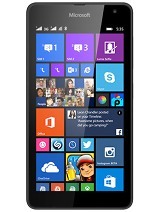 Xl price rs 8500 in india.I agree. Moto X is pricy than Nokia X. So there is no comparison. Period. greyhoundz, 07 Mar 2014Nokia with BBM application? is it the same with that of Black berry? am a bit confuse.... plea... moreBBM for Android has been announced since a while back. 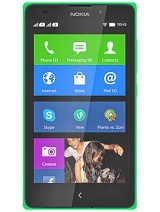 Nokia is using a trimmed version of Android in Nokia X and XL mobiles. So it is capable to run BBM app and is the same as it is on other android devices. AnonD-1846, 07 Mar 2014Moto G specs beat the Nokia XL one. For example: 1. HD screen 2. Better CPU 3. Play st... moreBut moto g price rs 13000 in india. 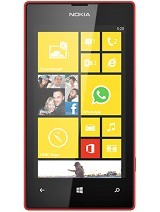 Xl price rs 8500 in india.